Highlander 2nd Edition Prices Reduced! 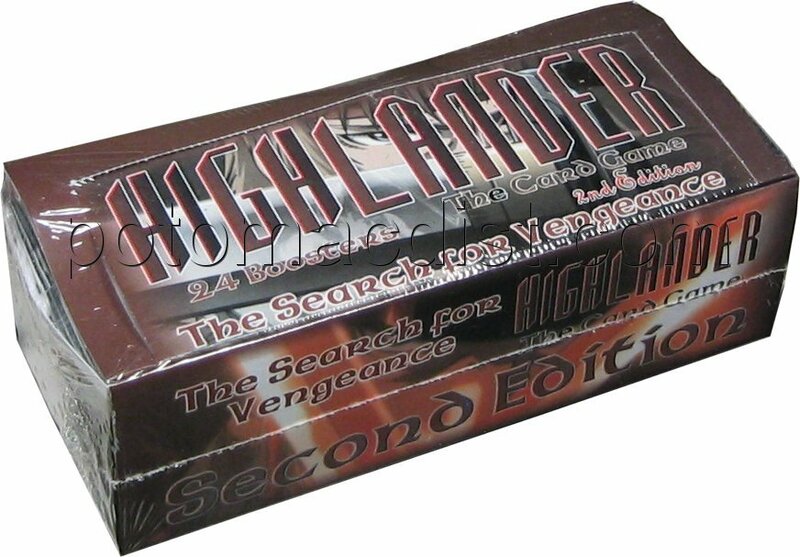 We've just slashed prices on our entire stock of Highlander 2nd Edition products! Buy any of these booster boxes for just $49! Also arriving next week....Four Horsemen starters ($61). Konami's second wave of 2010 Yu-Gi-Oh Tins releases on Tuesday (Nov. 2nd)! If you haven't placed your pre-order yet, it isn't too late. We have a small number of cases still available for $176. 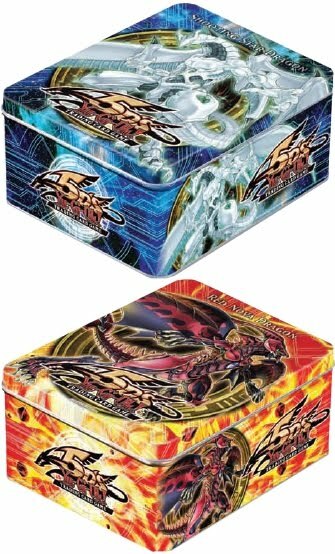 Each case includes 12 tins (6 Shooting Star Dragon tins and 6 Red Nova Dragon tins). 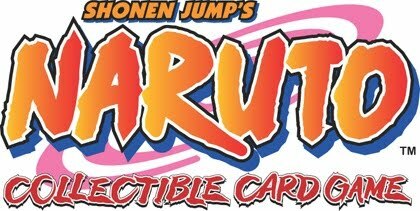 Each tin includes 5 of the most popular booster packs available (1 Hidden Arsenal or Stardust Overdrive pack, 1 Absolute Powerforce pack, 2 Shining Darkness packs, and 1 Duelist Revolution pack) and 5 different variant cards (1 pack of Super Rare cards with 3 Shonen Jump Variant cards and 1 bonus card as well as 1 Secret Rare card). Legends of Marvel Series 2 On Sale! 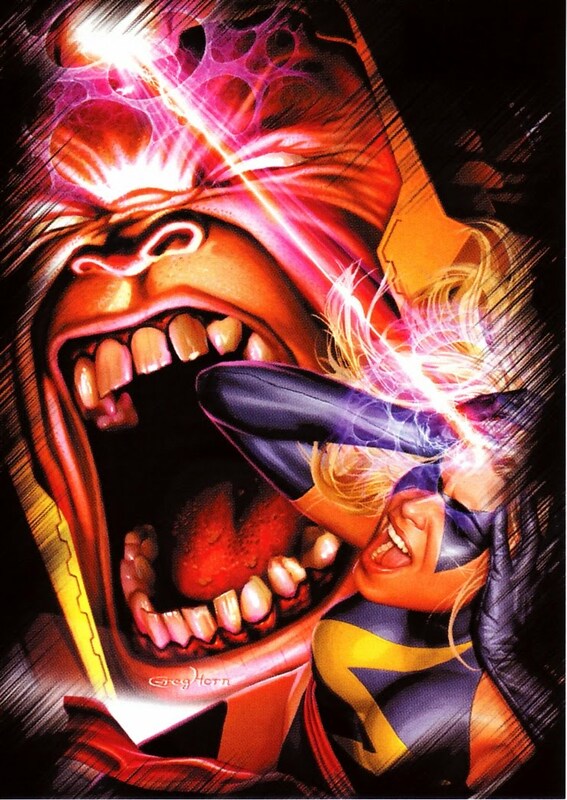 Rittenhouse Archives has announced plans to release its Legends of Marvel Series 2 in February. The set will feature Wolverine, Thor, and Elektra. There are 27 cards in the set (9 for each character) with amazing artwork on the front and back of each card. Each set is sequentially numbered from 1 to 1939 to commemorate the birth of Marvel Comics in 1939. Sets are $44 each and can be ordered here. WoW Worldbreaker Orders Due! Ice Crown Epic Collection Releasing Friday! The World of Warcraft Worldbreaker expansion is expected to ship by November 17th! Order now to receive our lowest prices! We are planning to raise our prices on Monday (November 1) from $62 to $63 for booster boxes and $729 to $739 for booster cases (12 boxes). Remember: We only need a 10% deposit when you place your pre-order. The remaining 90% isn't due until the release date! Worldbreaker includes content from the Cataclysm expansion for the World of Warcraft Online Game. The set includes the first Goblin and Worgen heroes and allies, new race/class combos like Dwarf Shaman and Tauren Paladin, Dragon master heroes like Alexstrasza and Ysera, and Heirloom gear with its own unique mechanic. Worldbreaker features 3 new loot items (the rare is a flying mount and the common is expected to be a cosmetic pet). The set includes 270 cards (60 rare, 20 hero, 10 epic, 60 uncommon, and 120 common). Also, don't forget that the new Icecrown Epic Collection releases this Friday, October 29th! We are pre-selling boxes for $27 each. New KMC Yu-Gi-Oh Sized Pink & Clear Sleeves Arrived Today! The new KMC Yu-Gi-Oh Sized Pastel Pink and Clear deck protectors arrived today! 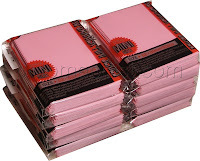 Pastel Pink sleeves can be purchased in 10-pack lots for $30 or by the case (30 packs) for $84. Clear sleeves can be purchased in 10-pack lots for $22 or by the case (30 packs) for $60. We also have standard size KMC Matte Brown cases back in stock for $129. Board Games Back In Stock! We recently received several board game shipments. We've carried board games in the past, but a period of time had passed since we last stocked them. We have a number of the most popular games in stock now, including Thunderstone, Tide of Iron, Ticket to Ride, Small World, and many more. 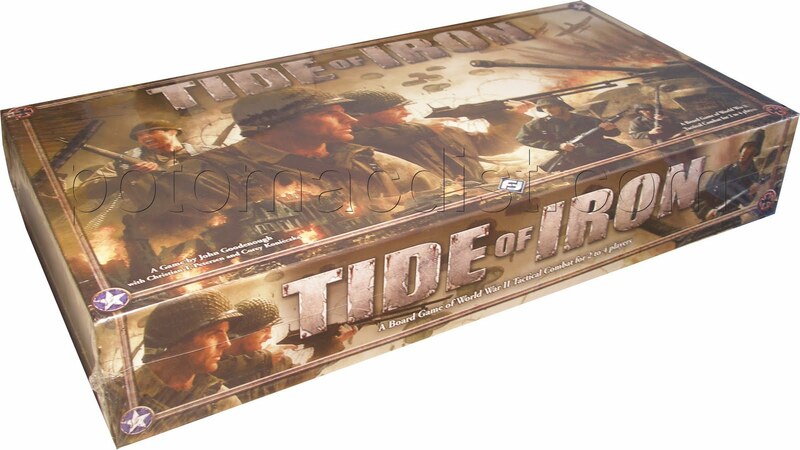 Click here to check out our selection of board games. Don't see the board game you've been looking for on our list? Email us at sales@potomacdist.com and we'll let you know if we can get it for you! 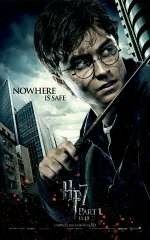 Harry Potter & the Deathly Hallows Part 1 On Sale! We've received additional details from Artbox for the upcoming Harry Potter and the Deathly Hallows Part 1 trading card set. We are now pre-selling boxes for $55 and cases (10 boxes) for $539. According to Artbox there will be 5 autograph cards per case, 3 prop cards per case, 10 costume cards per case, and 3 film-cell cards per case. The base set includes 90 cards. If you want to see a list of the autographs, props, and costumes that have already been announced, check out yesterday's blog post here. Please note that Artbox's order deadline is less than two weeks away! So please place your order as soon as possible to avoid missing out on this set. Rittenhouse Archives announced this morning that it has delayed the release of both the Stargate Universe Season One and Star Trek: The Remastered Original Series sets. Stargate Universe Season One was originally scheduled to arrive on November 17th. It will now ship on December 8th. Every box includes 2 autograph cards and 1 relic card! Signers include Robert Carlyle (Dr. Rush), Lou Diamond Phillips (Col. Telford), Alaina Huffman (Tamara Johansen), Elyse Leveque (Chloe Armstrong), David Blue (Eli Wallace). Louis Ferrerra (Col. Young), Bryan J. Smith (Matthew Scott), Jamil Walker Smith (Ronald Greer), and many more! Each case includes a Dual Costume card of Chloe Armstrong/Senator Armstrong. Case incentives include a Lou Diamond Phillips autograph card (3 cases), a hand-drawn sketch card by Sean Pence (5 cases), and an archive box (15 cases). Boxes are available for $61, cases (12 boxes) are $709, and binder cases (4 binders) are $82. Star Trek: The Remastered Original Series was originally slated to release on December 15th. It is now expected to ship on January 26th. Each box includes 1 Dual and 1 Single Autograph card! Double Autograph cards include Shatner/BarBara Luna, Nimoy/Barrett, Malachi Throne/Sean Kenney, Takei/Koenig, and William Campbell/Michael Pataki. Single signers include Takei, Nichols, Maggie Thrett, Sheila Leighton, and Carole Shelyne. The base set includes 81 cards featuring remastered images from all 79 Star Trek Original Series episodes! Bonus sets include an 18-card Tribute Expansion set (1:6 packs), a 9-card Creatures set (1:12 packs), a 9-card "Elaan of Troyius" Revised Episode set (1:24 packs), and a 9-card Ships In Motion Lenticular set (1:24 packs). Boxes are available for $61, cases (12 boxes) for $709, and binder cases (4 binders) for $82. 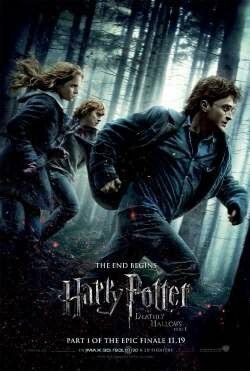 Artbox Entertainment just sent us some initial details on its upcoming Harry Potter and the Deathly Hallows Part One trading card set. It looks like Artbox plans to release the set just before Thanksgiving. We will post more details as soon as we receive them. If you are interested in receiving an email when this set goes on sale, simply click here and submit your email address! 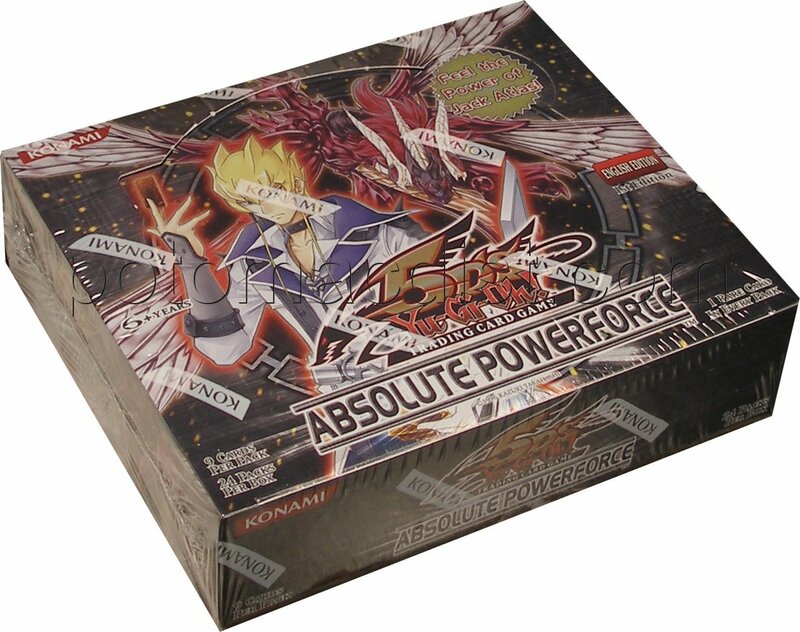 We just received a shipment of Yu-Gi-Oh Absolute Powerforce boosters. We'd been sold out of this popular box for most of this week, but we have them available now for $67. Looking for a Yu-Gi-Oh box, but can't find it on our site? Drop us an email at sales@potomacdist.com and we'll see if we can find it for you! Warhammer Redemption of a Mage Arriving Tomorrow! 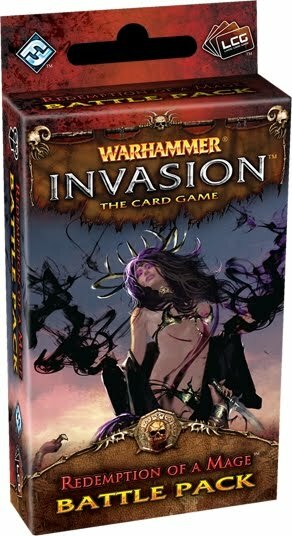 The latest Warhammer Invasion battle pack, Redemption of a Mage, is scheduled to arrive tomorrow. Each pack includes 60 fixed cards (3 copies each of 20 never-before-seen cards). This is the fourth battle pack for The Enemy Cycle expansion. Individual Redemption of a Mage packs are available for $13. Six-packs are just $66. Marvel Heroes and Villains Releases Today! 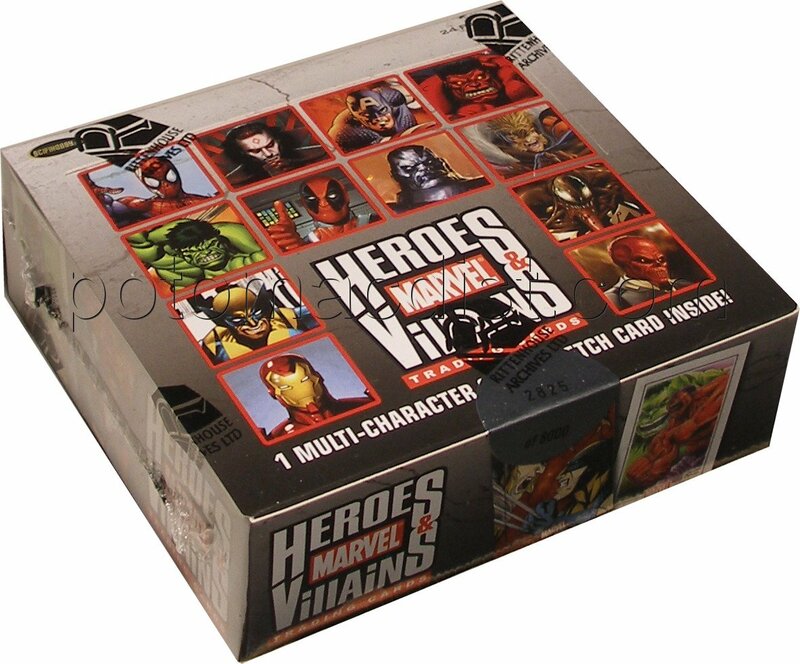 Rittenhouse Archives' new Marvel Heroes and Villains trading cards have arrived! Every box includes 1 hand-drawn, two-character, color sketch card! We have boxes available for $62. If you are interested in purchasing a case email us at sales@potomacdist.com. Rittenhouse had a small number of cases left earlier this week. Naruto Path of Pain is expected to arrive on November 5th. Order now to receive our lowest prices! We are planning to raise our prices on Thursday (October 21) from $58 to $59 for booster boxes, $342 to $348 for booster cases (6 boxes), and $51 to $52 for starter boxes. Path of Pain introduces over 100 new cards to the Naruto CCG. The set chronicles the introduction of Pain and the different bodies of Pain such as Animal Path, Deva Path, and Preta Path. Deidara and his various Jutsus also make an appearance in the set. A new mechanic called "Sacrifice" creates new decks for experienced Naruto players. Each pack includes 10 cards - 1 Holographic Foil card, 1 rainbow-stamped rare card, 2 uncommon cards, and 6 common cards. Super-Rare Gold-Holographic Foil Inserts are found 1:6 packs on average. Starter decks include 30 cards, plus 2 booster packs, and a play mat. Click here to pre-order Path of Pain. Yu-Gi-Oh Starstrike Blast Case toppers Announced! Konami has announced two case toppers to be included in Starstrike Blast booster cases! 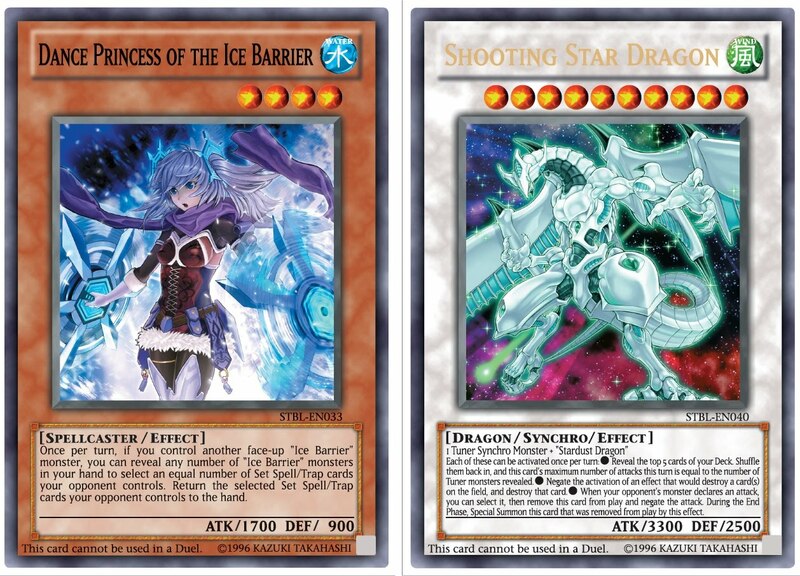 Each case will include one of the two cards - Dance Princess of the Ice Barrier or Shooting Star Dragon. Click the image to get a closer look. We are pre-selling Starstrike Blast boxes for $59 and cases (12 boxes) for $679. Pokemon HS Triumphant Orders Due! 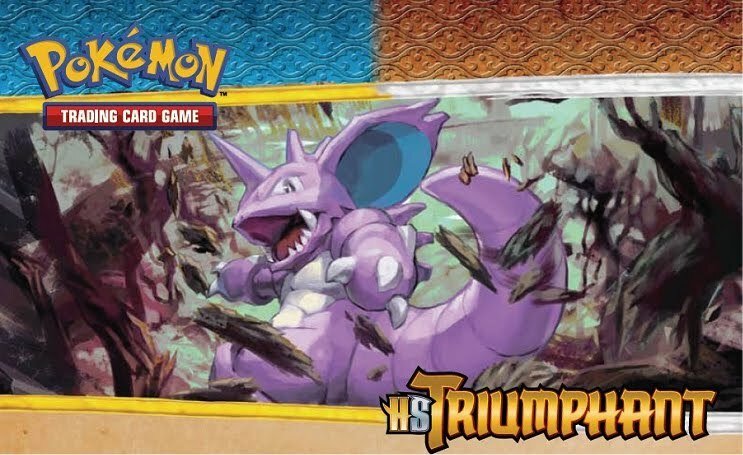 Place your order for Pokemon HS Triumphant by Friday, October 15, and save! On Friday we will raise booster boxes from $86 to $87 and booster cases from $506 to $512. 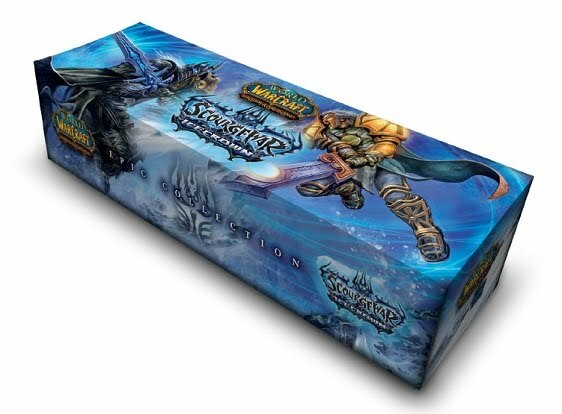 We also have Triumphant starter deck boxes available for $68 each. Triumphant includes new Pokemon Legends - Darkrai with Cresselia and Palkia with Dialga. The set also includes 8 Pokemon Prime, including Gengar and Machamp, as well as new trainer, supporter, stadium, and holographic parallel cards. There are more than 100 cards in the set. Marvel Heroes & Villains Price Increase Coming Soon! The release of Rittenhouse's Marvel Heroes and Villains trading card set is right around the corner! We expect to ship pre-orders early next week. Every box will include a hand-drawn, two-character, color sketch card from one of more than 80 artists. It's not too late to place a pre-order for Heroes and Villains at our lowest prices. On Friday (October 15) we will be raising our box price from $61 to $62 and our case price (12 boxes) from $709 to $719. Binder cases (4 binders) are $82. Order now and save! Customers pre-ordering 6 cases receive a free Lak Lim color sketch card with a minimum of 3 characters! Customers pre-ordering 9 cases receive a free Anthony Tan color sketch card. Customers pre-ordering 18 cases receive a free archive box, which includes 30 random sketch cards! 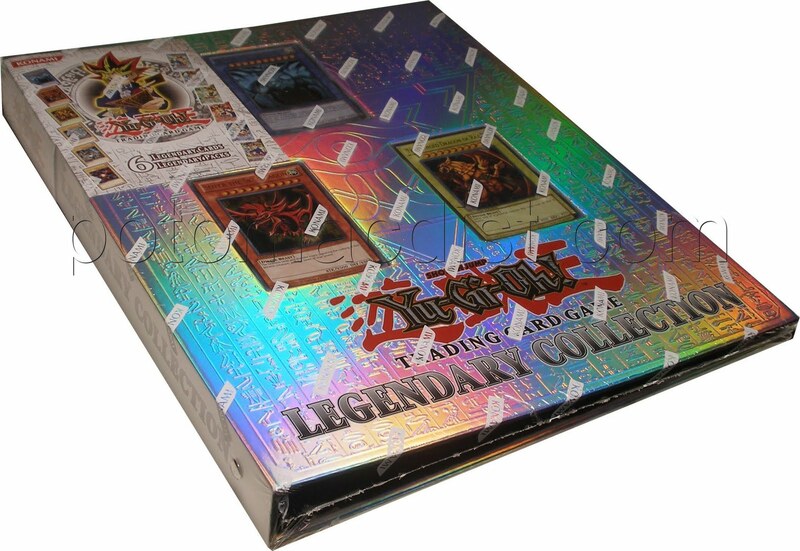 Yu-Gi-Oh Legendary Collection In Stock! The new Yu-Gi-Oh Legendary Collection Sets have arrived! All this content is packaged in a reusable Egyptian-style 3-ring binder for storing and showing off a Duelist’s collection! Sets are $25 each or just $276 per case (12 sets). Warlord City of Gold On Sale! The next Warlord 4th Ediiton expansion, City of Gold, will begin making its way to North America soon! Phoenix Interactive is releasing City of Gold in parts, and the first two Adventure Path Sets, The Sleeper and The Storm Awakens are expected to arrive by the end of the month. The remaining five City of Gold sets will be released in pairs every two months, with a treasure-chest style set rumored to accompany the final set. We are selling The Sleeper and The Storm Awakens sets for $13 each, or $23 per pair.